Your neck is one of the areas of your body where it can be hard to hide your age. That’s because, as your skin loses elasticity over time, gravity can take a toll on your neck as well as the lower part of your face, resulting in fatty jowls, a so-called turkey wattle, horizontal creases, and vertical banding. 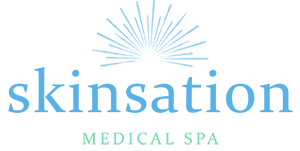 At Skinsation Medical Spa in Goodlettsville, Tennessee, Dr. Nadja Colon provides minimally-invasive J-Plazty™ neck lifts to patients in the Nashville region. If you’re ready to look as young as you feel, call the office or book your appointment online today. A neck lift is an advanced cosmetic procedure that’s used to improve the appearance of your neck, jawline, and lower face. By tightening the skin and underlying muscles and enhancing the overall contour of your jawline, a neck lift can make you look and feel years younger. Along with facelifts, a neck lift is widely considered the most direct and comprehensive way to treat loose, saggy skin brought on by aging. A neck lift can safely and effectively address excess skin and fat on the neck as well as unwanted folds and lines. If aging has made your jawline disappear, a neck lift can help to restore it. Traditionally, a neck lift is a surgical procedure that requires general anesthesia and incisions either under the chin, behind the ears, or both. During the procedure, the platysma muscle is sown together, or surgically tightened, in much the same way you’d cinch your shoelaces. After excess fat and skin are carefully trimmed away, the tissue and skin are repositioned and secured with sutures, and the incisions are closed. How is the J-Plazty neck lift method different? The J-Plazty neck lift technique takes a much more advanced — and a much less invasive — approach to lift, tighten, and rejuvenate your neck and lower face. Using the state-of-the-art J-Plasma® device by Bovie® Medical Corporation, the procedure harnesses the power of cold helium plasma and radiofrequency (RF) energy. The J-Plasma device creates cold plasma by using RF energy to energize helium gas. Because cold plasma is much cooler than laser energy, it gives Dr. Colon a higher level of precision while virtually eliminating unintended tissue trauma. Applied to the skin on your neck, this advanced technology creates instant skin contraction, resulting in tightening and shrinkage. The level of enhancement and rejuvenation from cold plasma energy is unparalleled in current technologies. Simply put, no laser, ultrasound, or radiofrequency procedure can tighten and firm your skin to the same degree. Am I a good candidate for the J-Plazty procedure? The J-Plazty neck lift is safe and effective option for women and men of all ages and skin types who are affected by mild to moderate sagging in the lower face, jawline, jowls, and neck. Patients who choose J-Plazty over traditional neck lift surgery can attain the same benefits without having to experience any downtime or complications after the procedure. Patients with more severe sagging may still benefit most from a traditional neck lift, however. If you’d like to learn more about your options, call or book an appointment with Dr. Colon online.